He was born July 23, 1933, in Carter County, Kentucky, a son of the late Butler and Nora Smith Maddix. Amos was member of Globe Christian Church, where he served as a Deacon and currently an Elder. He was a charter member of The Gideons International and a Kentucky Colonel, and served in the Kentucky National Guard. Amos was the owner and operator of Quality Drywall. He was a caring husband, father, grandfather, and great grandfather. Amos enjoyed traveling and visiting with his family and friends. He loved his church, his church family and spent tireless hours working and serving the community. In addition to his parents, he was preceded in death by one daughter, Tamela Maddix, and three brothers, Wade Maddix, Samuel Maddix, and William Maddix. Amos is survived by his wife of 64 years, Janet Owens Maddix; one son and daughter-in-law, Mark and Sherri Maddix of San Diego, California; two daughters and sons-in-law, Kimberly and Terry Thompson of Olive Hill, Kentucky, and Kristie and Keith Farmer of Lexington, Kentucky; seven grandchildren, Sarah Lake Gilliam, Ryan Tyler Thompson, Nathaniel Mark Maddix, Adrienne Nicole Maddix, Christian Shade Farmer, Cameron Mark Farmer and Colin Edward Farmer; three great grandchildren, Kaden Trace Thompson, Gavin Lowell Gilliam, and Jordan MaeLeigh Thompson; one brother and sister-in-law, Gary and Debbie Maddix of Olive Hill, Kentucky; and two sisters and brothers-in-law, Rosemary and Frank Dingess of Kingsport, Tennessee, and Betty and William Hall of Greenup, Kentucky. He also leaves many other family members and friends who will sadly miss him. 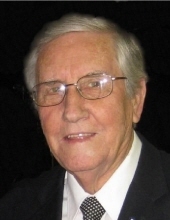 Funeral services will be held at 2 p.m. Sunday, March 24, 2019, at the Globe Christian Church in Globe, Kentucky, with Reverend Mark Maddix, Brother Frank Hulett, Brother Gary Waugh, and Pastor David Rayburn officiating. Burial will follow in the Oakland Cemetery in Olive Hill, Kentucky. Friends may visit from 6 p.m. to 9 p.m. Saturday, March 23, 2019, and after 9 a.m. on Sunday at the church. Ryan Thompson, Nathaniel Maddix, Christian Farmer, Cameron Farmer, Colin Farmer, Kaden Thompson, and Gavin Gilliam will serve as pallbearers. In lieu of flowers, the family request that donations be made to Gideon’s International, P.O. Box 931, Olive Hill, Kentucky 41164, or the Globe Christian Church, P.O. Box 445, Olive Hill, Kentucky 41164. Globe Funeral Chapel in Olive Hill, Kentucky, is caring for all arrangements for Mr. Amos F. Maddix. "Email Address" would like to share the life celebration of Amos F. Maddix. Click on the "link" to go to share a favorite memory or leave a condolence message for the family.